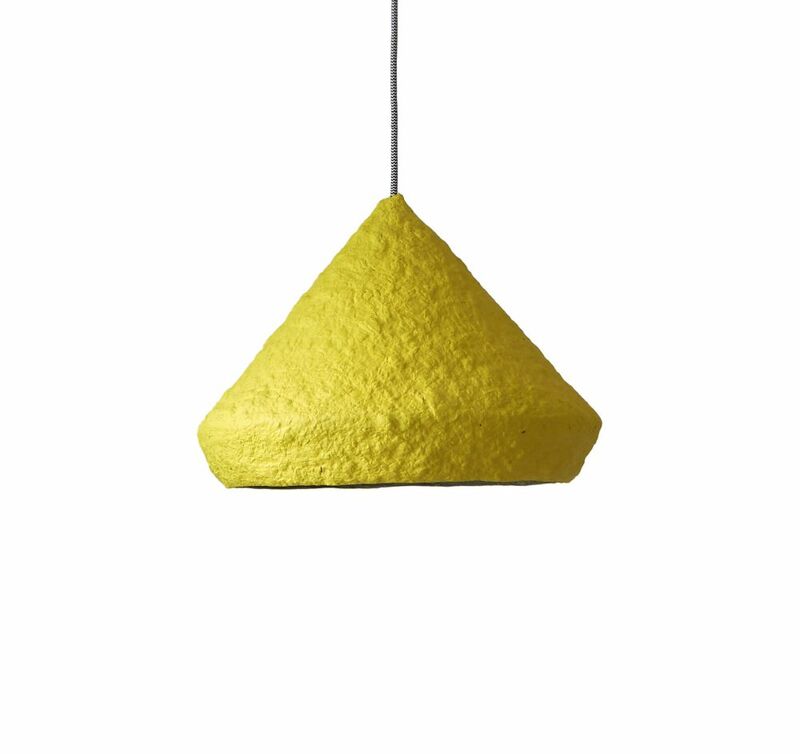 Mizuko is a name of a series of lamps made from paper mache. Mizuko in Japan means “daughter of water”. The minimalistic shape and light weight of the lamp recalls the association with a drop of water. Mizuko is a name of a series of lamps made from paper mache. Mizuko in Japan means “daughter of water”. The minimalistic shape and light weight of the lamp recalls the association with a drop of water, which gently and slowly slides from a leaf and falls again into the water. Mizuko lamp is ecologic, it is made from old newspapers. You can choose its color between dozens of available colors and combine it with your own interior. Bulb not included. Use led bulb up to 20W. Purchasing three lamps from the Mizuko collection you can have 20% discount for the order. Handmade in Spain. We recomend to use LED bulbs because those are safer than the energy saving bulbs.